What are the benefits of buying a projector screen? Projector screens use a fabric with a special reflective coating to maximise your picture quality. When you project onto a screen the projected light is reflected and diffused back at you. When you project onto a white wall most of the light is absorbed and not reflected back which results in loss of image sharpness, contrast and brightness. In order to achieve the maximum picture quality from your projector it is highly recommended to use a projector screen. These are inexpensive, easy to install and easy to use. They operate just like a standard roller blind that you pull down and retract back up into the casing manually. Most of our manual screens can be wall or ceiling mounted. View our complete range of manual pull down projector screens. In-line Wall Switch- usually connected to the screen by a 2-3m long cable allowing you to put the switch where you need it and to operate it using up, down, stop buttons on the switch. 12V Trigger cable: Allows a hands free operation of your screen. Your screen is lowered and retracted when you switch your projector on/off (projector requires a 12v trigger output). View our complete range of electric projector screens. Floor Screens : These portable screens are our most popular and best looking. They don’t have any legs but instead a floor case which the screen fabric is housed in and pulled up easily to your required viewing height and supported either by a pole at the back of the fabric or a scissor action mechanism. When you’re finished using the screen you simply lower the screen back down into the floor case. They also have a handle for you to pick up and move the screen easily. Tripod Screens: A screen that has 3 supportive legs and a screen case on top of supporting legs which material can be raised and lowered out of. Ideal if you need a large portable screen over 200cm wide. Tabletop Screens: Perfect for very small presentations and allow you to have your screen on the table. View our complete range of portable projector screens. These screens have a special translucent fabric that allows you to project your image from behind the screen instead of the front. This is popular in theatres, stage performances or on show stands where people might be walking in front of the screen a lot. By having the projector behind the screen instead of in front of it you are not interfering with the projected image. You won’t see a silhouette like you do when someone gets up in the middle of the cinema because you won’t be walking in front of the projected light. We have Fastfold rear projection screens on our site which are portable. If you are interested in an electric rear projection screen please call us for a taylor made quote. Mainly used with native widescreen 16:10 Office projectors or Education projectors. Mainly used with native widescreen 16:9 Home cinema projectors or in more recent times 1080p office projectors. Mainly for office, education, church use when projecting from a laptop or PC. The native aspect ratio of the home cinema projectors we sell are 16:9. For Office projectors the vast majority are 4:3 but 16:10 widescreen aspect ratio is becoming more and more popular with High definition content now readily available. So you have probably guessed that when buying a projection screen for your projector you will want to match it to the right screen format. You can of course for example use a home cinema projector with a 4:3 screen but the end result is exactly 25% of the screen will be unused and will look something similar to the below image. Ok so I know what format I need - What size should I go for? 1.Place your projector at the set distance back from the screen where you would want it. 2.Turn on your projector so it projects on to the area where your screen will go. 3.If the projected image size is correct simply measure the image width and height and jot down the figures. 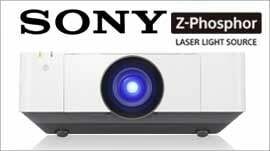 If you need a smaller image adjust the zoom on your projector or move the projector closer to the screen. A larger image again either adjust the zoom on the projector or move the projector further back from where the screen will go. 4.Call us and give us the figures you noted down and type of screen you want (manual, electric or portable) then leave the rest to us. A lot of the time people make the common mistake of choosing a very large screen as they want a very big image. However, having a very large screen in a home cinema environment (or even an office) can be a bit like being in the front row of the cinema - you find yourself looking left and right across the picture instead of seeing the picture as a whole which can be a bit distracting and a strain on the eyes. So please be sure of sizing and double check before you order. If you’re at all unsure call us, we are here to help. Our most popular sizes for home cinema are anywhere between 160cm wide up to 240cm wide depending how far back you’re sitting and how large your room is. For portable screens please take into account the overall case length of the screen not just the viewing dimension especially if you are transporting the screen in a car. The case dimensions can add on up to an extra 30cm onto your screen size. You can get this by hovering over the “more info” text with your mouse pointer. Screen gain - What is that? Gain is the measurement of the reflectivity of your screen’s surface. We recommend matte white screens across the board. They produce the best picture quality and are the most versatile. The matte white surface reflects the light back over a wide viewing angle and the colours remain accurate and bright. Need some help choosing your projector screen? We are only a phone call away and will be happy to help.